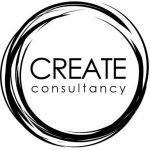 “Are you a professional artist interested in working with young people and educators in schools, but not sure where to start? Already have experience working in schools, but want to enhance your skills and meet other artists in the field? The Arts Integration Learning Lab is an immersive, five-day development experience for artists, designed to build your capacity to work alongside educators. Local artists and mentors will prepare you with the skills to plan, fund, and lead arts-integrated experiences in schools and classrooms across the province! The deadline to apply is April 8th, 2019. 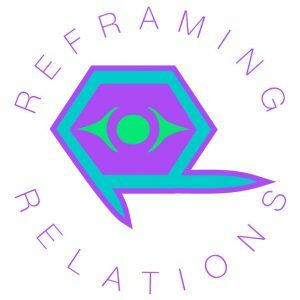 “Reframing Relations is an inter-disciplinary, arts-based program that aims to engage youth in creative dialogue about the relationship between Indigenous and non-Indigenous peoples in Canada. Led by the Community Arts Council of Vancouver, the pilot phase of this program was developed in partnership with the Vancouver School Board Aboriginal Education Department, the Surrey School District, and the Urban Native Youth Association. 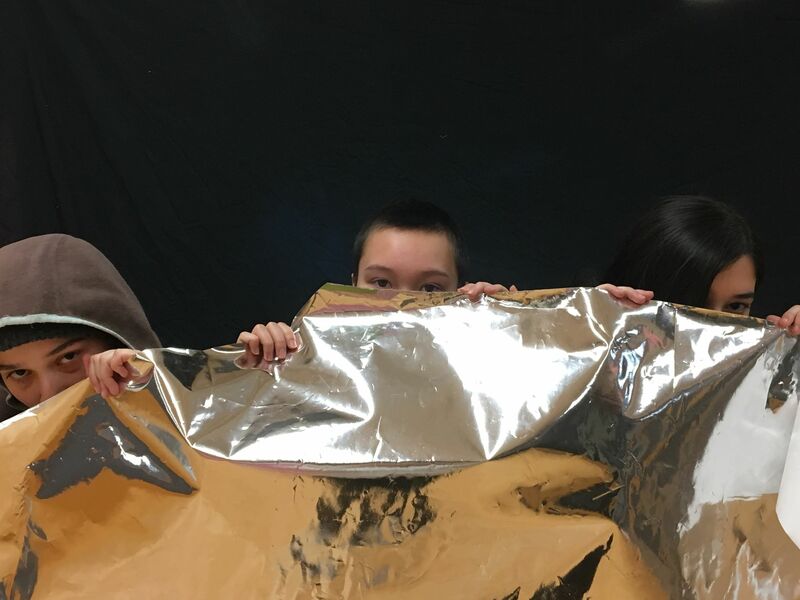 The program responds to an articulated need from our partners for creative programming that supports both educators and students during their transition to the new BC curriculum that integrates Indigenous Education at every stage. This position is founded in a social justice framework that strives for critical thinking about race and colonialism. As an equal opportunity employer, we encourage artists who self-identify as Indigenous, Métis, POC, LGBTQI2, and from a spectrum of abilities to consider applying. Compensation: $50-$75/hour for workshop facilitations and $20/hr for workshop prep and professional development. Number of hours varies according to number of school bookings and artist availability. Job Description: Reframing Relations Program Facilitators will collaborate with current facilitators at the Community Arts Council of Vancouver in delivering arts-based workshops in Vancouver schools exploring the historical and current relationship between Indigenous and non-Indigenous peoples in Canada. Facilitators will work with youth to locate themselves, individually and collectively, within this conversation, and to explore and express their evolving understandings of reconciliation broadly defined. Two facilitators, one Indigenous and one non-Indigenous, will lead a series workshops in each classroom, working closely with the classroom teacher and Aboriginal Education Enhancement Teacher to tailor the workshops to suit the classroom’s unique needs. We encourage artist-facilitators of all art practices (visual, performative, musical, literary, cross-disciplinary, other) to apply. For more details, please see the full job description on CACV’s website. 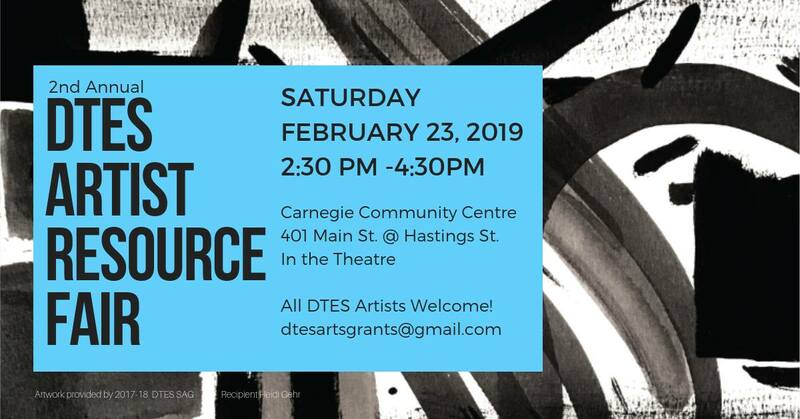 “Carnegie Community Centre and Vancouver Foundation are thrilled to host an informal, friendly, social event for artists to connect with community resource providers. You do not need to prepare or provide anything special to be a part of the event. Everyone Welcome! We are proud to welcome back Heart of the City Festival, Gallery Gachet, EWMA a program of Atira Women’s Resource Society, CADA/West, Vancouver Public Library – Inspiration Lab and PTC, as well as representatives from organizations like WePress and 8EAST! More announcements about participating organizations to follow in the days leading up to the event. “Arts & Health: Healthy Aging Through the Arts seeks artists (any discipline) interested in facilitating community-engaged arts practices with older adults. For more information, please visit: Arts & Health’s website. 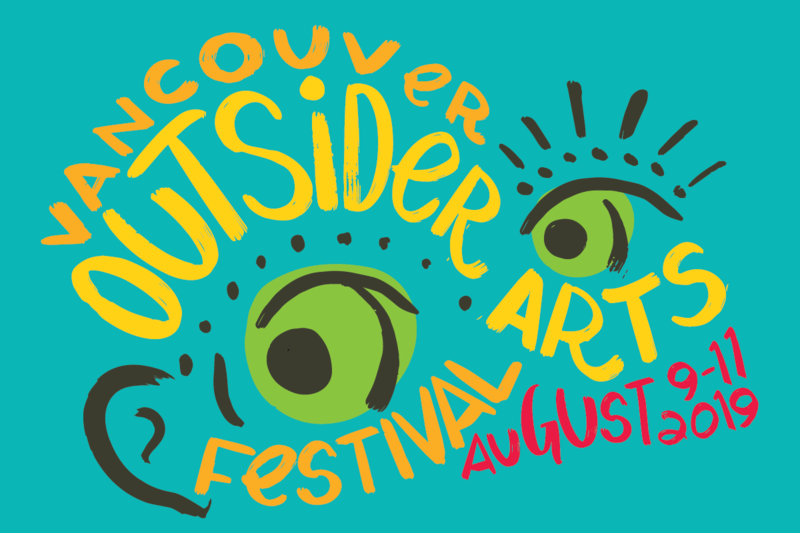 “BC Artscape is currently seeking an Operations Coordinator to join our team. In March 2018 we opened BC Artscape Sun Wah, a community cultural hub in Chinatown. BCA Sun Wah is BC’s largest cultural hub, providing affordable and secure work space for over 60 incredible artists and not-for-profit cultural and community organizations. The design, tenanting, and programming of BCA Sun Wah are a reflection of community needs and aspirations, understood through an intensive engagement process. BCA Sun Wah aspires to be a place to come together, a place for intergenerational and intercultural interaction, and a place that contributes to the existing vibrant cultural landscape in Chinatown. We’re looking for an organized, resourceful, community focused person to manage the operations of our space. This is a one year contract position with a strong likelihood of being a permanent member of our team. 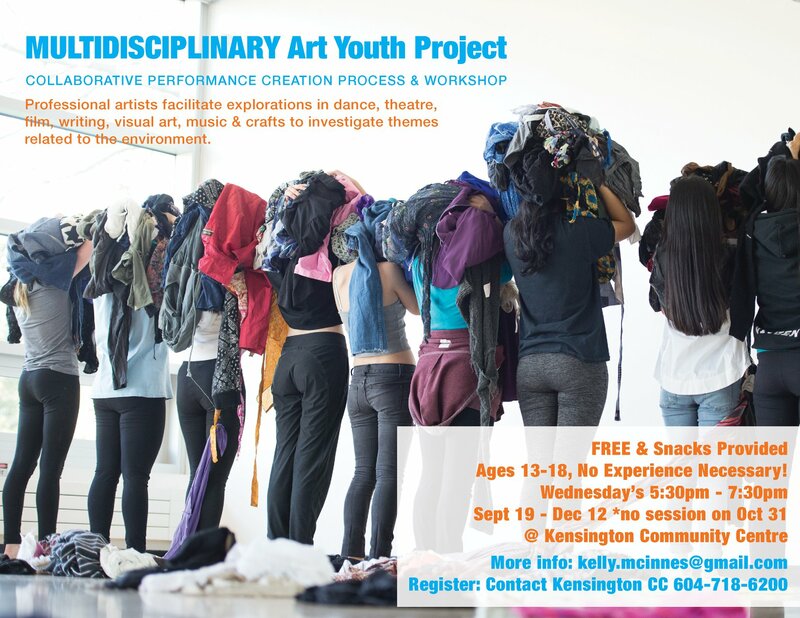 A new performance process & workshop for youth ages 13-18 is starting at Kensington Community Centre this fall! No Experience Necessary! 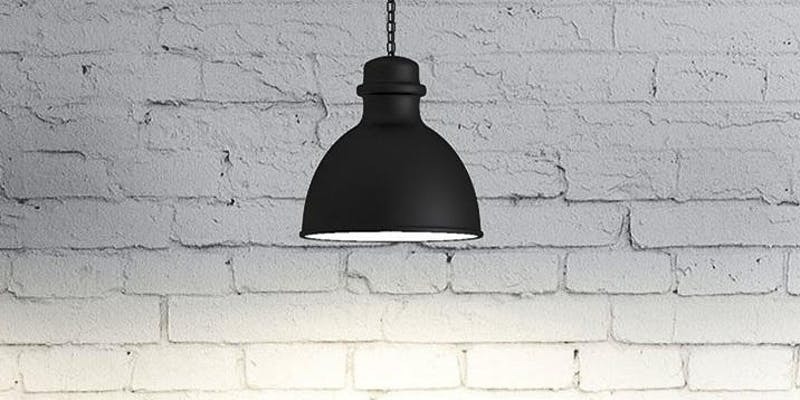 For more information, please visit Made in BC’s facebook.